In 2012, UConn purchased its first series of Bloomberg terminals for the Storrs campus. After seeing the incredible value that Bloomberg has offered students, UConn decided to expand its Bloomberg presence. 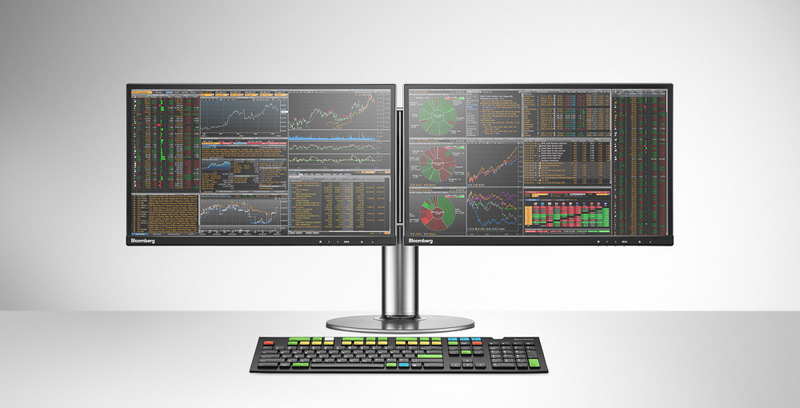 We now have Bloomberg terminals within the School of Business at Storrs and in the Business Connections Learning Community at Belden Hall, as well as, the Downtown Hartford GBLC and Stamford campuses. The Walk-In Help hours, provided by our Bloomberg Lab assistants, are posted outside the Bloomberg Lab in Room 411 of the School of Business. Additionally, they will be able to assist with setting up login credentials, creating a BMC account and general questions regarding the Terminals. A Bloomberg terminal is an advanced computer system with integrated financial software, which allows users to access real-time financial data and news on markets, economies, and businesses around the world. The terminal can also facilitate trade placements and act as a messaging platform for other users on Bloomberg terminals. The vast content, trending news filters, research and analysis tools, and software integration are just some of the many key features that Bloomberg has to offer and contribute to its success as the leading financial computer system in the industry. Bloomberg Market Concepts (BMC) is an 8-hour self-paced e-learning course that provides a visual introduction to the financial markets. The course run by Bloomberg LP, consists of 4 modules – Economics, Currencies, Fixed Income and Equities – woven together from Bloomberg data, news, analytics and television. Registered students will be able to access and complete the certificate at the terminals located in the Bloomberg Lab Room. The course format comprises of about 8 hours of teaching videos, edited in a documentary style that seeks to engage and educate the learner. Rather than a person speaking to the camera and a whiteboard, the videos mainly teach through footage of case studies, highlighting feeds from Bloomberg terminals and interaction through quizzes that serve as a form of review. The course caters to individuals interested in a financial career, including students and non-financial professionals. For students, completion of the completion of the Bloomberg Market Concepts course and having relevant, practical knowledge is important to land key internships in the financial world.